False. 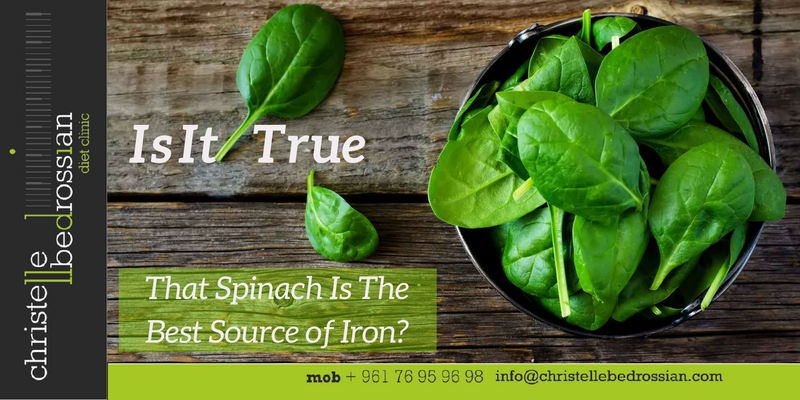 Spinach is a source of iron, but it’s not a significant source between vegetables! ½ cup of cooked spinach contains half the iron in ½ cup of cooked lentils. To get more iron in your diet, combine vegetables rich in iron with a source of vitamin C (ex. clementines, red bell peppers, etc.) and avoid drinking tea or coffee at mealtimes. (Next Entry) The Sound Of Chewing Might Do You A Favor!